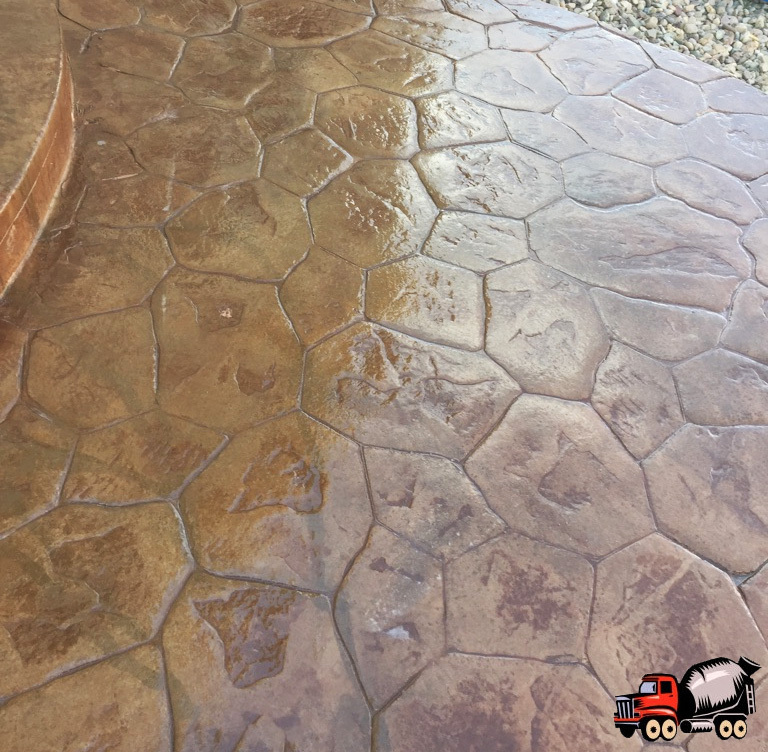 Stamped concrete is a great way to decorate the landscape of a home or business in Colorado. Stamped concrete is an affordable alternative to pavers or stone hardscapes. If maintained properly, stamped concrete can last decades. At Denver Concrete Company, we pride ourselves on proper preperation, concrete mix designs and the top of the line coloring to assure your stamped concrete project will last for years. 1.) How much more is stamped concrete than regular concrete? Decorative concrete typically costs $4-9 more per sq ft than a regular gray broom finished pour. Factors such as total sq ft, concrete coloring and the stamp chosen all factor into the pricing of your stamped concrete. You can expect to pay $13-18/sf for stamped concrete which is still more affordable than pavers or stones. 2.) Is stamped concrete slippery? Stamped concrete can be slippery if you have a smooth stamp that gets wet. Most of our stamps are not slippery and actually have more texture than a standard broom finish. In areas that get wet often, we add a non-slip additive to the sealer. This anti-skid product is not visible to the eye and acts as an extra form of grip to prevent slipping. If slipping is an issue, just mention the concern to our team and we'll make sure you have the additive in your sealer. 3.) How long does stamped concrete last? Stamped concrete, if taken care of properly, can last 20+ years. Just like a regular concrete pour, the preperation and concrete mix will help extend the life of your slab. If propertly prepped, poured and maintained - you will have a slab that will last for years. 4.) What types of applications is stamped concrete used? You can stamp concrete for both residential and commercial uses. 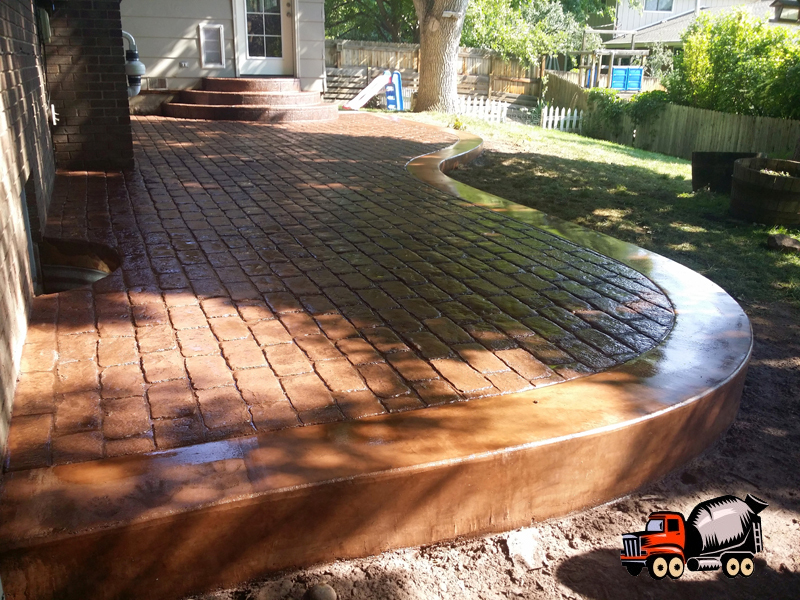 At Denver Concrete Company, we stamp patios, sidewalks, driveways, shop or garage floors. 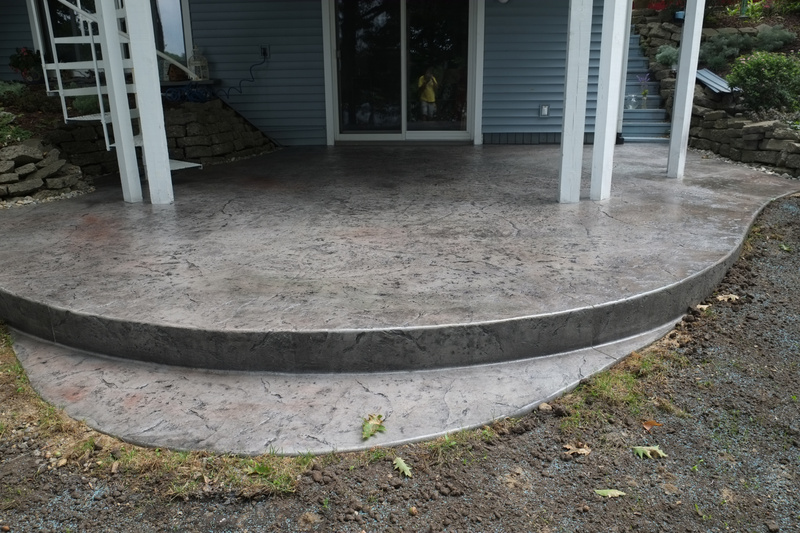 Any concrete you want to give a more decorative look, you can stamp. 5.) How do you color the stamped concrete? When we pour stamped concrete, we add the coloring directly to the mix. This asures all of your concrete is colored through the entire slab incase you were to get a chip or a crack. This way you will never see any gray coming through should your concrete get damaged. We add a second color with a pigment release technique. This goes on top of your colored slab bringing out a more detailed look. We recommend using a darker colored release for the most dramatic look. We do not stain the coloring on the stamped concrete - this is a myth. 6.) How do I remove snow/ice from stamped concrete? You should always shovel the snow off of your concrete before you get foot or vehicle traffic on it. This will allow the sun to melt any leftover moisture. NEVER use salt or sand on your stamped concrete! 7.) How many different types of stamps are there? We have access to over 20 different patterns and texture stamps. 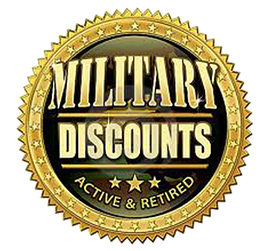 In some instances, if we cannot get the stamp you want - we can look at purchasing the stamp from the manufacturer. 8.) What type of reinforcement should be used in the stamped concrete slab? We recommend you use a rebar grid in your stamped concrete. Since stamping concrete is more expensive than regular broom finished concrete, you should protect your investment. Rebar is stronger than wire mesh and will keep your concrete from shifting or pulling apart. 9.) How often do I need to reseal my stamped concrete? 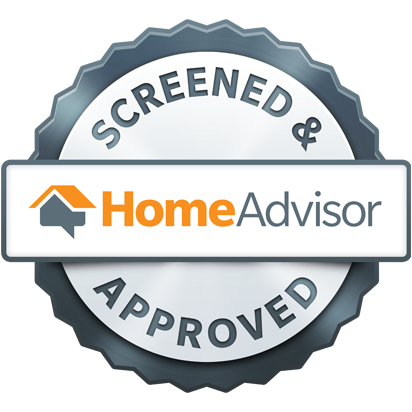 We recommend you reseal your stamped concrete every 1-2 years depending on exposure to sun light. This will keep your concrete surface protected, color bright and give a new shine look. It is important that you use the same type of sealer each time you reseal your concrete. 10.) When can I walk on my stamped concrete? Stamped concrete may need to be sealed twice for appropriate cover. After we add the final coat of sealer to your stamped concrete, you will need to wait 2-4 hours before any foot traffic is allowed. 11.) Will stamped concrete crack? Yes, unfortunately we live in Colorado and that means we have expansive soils and rapid changing temperatures. Just like regular concrete, stamped concrete will crack. We take the highest measures to control where you concrete will crack. We do this by cutting control joints in the concrete in hopes your patio, driveway or sidewalk will crack in a saw cut and ultimately will not be visible. 12.) What is the required maintenance of stamped concrete? We recommend you power wash your stamped concrete twice a year. It is important to keep dirt and other stains off your concrete to extend the life and color. You should reseal your concrete every 1-2 years to help protect the coloring. It is also important to remember to shovel off your stamped concrete each time it snows. Do no use salt or sand on your stamped concrete.